In this section you will learn about how to do Affiliate Marketing Online, and also the things you need to know for how to write affiliate product reviews that convert readers into buyers. Tips in here will include basic information about how to make money online with or without a product or a website of your own. I'm pretty sure you will be surprised about how you can become an affiliate marketer and earn a good income without having to buy all the latest Guru courses and magic box of tricks that are promoted all over the internet. Don't let yourself be distracted by shiny new objects every day when you open your emails to find a gazillion sales letters in your mail. 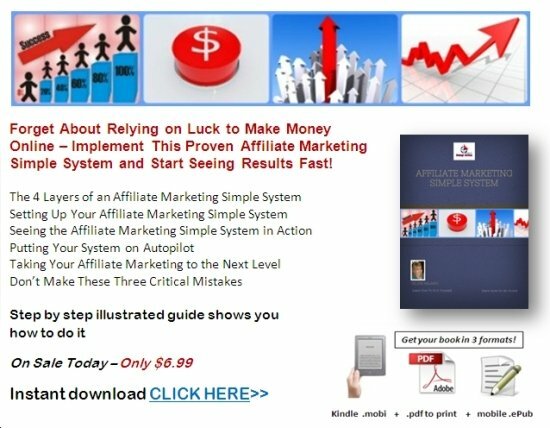 I have also published a very comprehensive book "Affiliate Marketing - Simple System" that is all about how to do affiliate marketing online for very little cost and maximum profits. Check the bottom of the page for that book content and buy link. 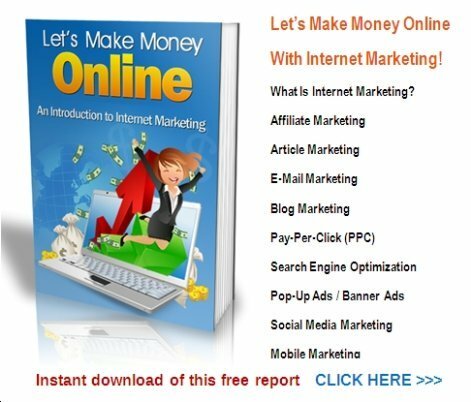 When looking to the Internet for ways to make money online, it doesn’t take too long before you realize what a vast array of choices there are. Blogging for profit, pay per click advertising, article marketing as an affiliate, and CPA offers are only just a few business models out there for you to choose from. Yet for those who are determined and have an entrepreneurial spirit, the Internet is wide open. All you really need is a product to promote in a niche with a demographic that’s willing to pay for their consumables. The great thing is that you don’t need to have your own product to make a very nice living online. You do this through affiliate marketing programs. With affiliate marketing, you can choose from a vast array of products to promote online - all with a sales page already set up for you. All you need to do is find a way to drive traffic to that site using a specific hyperlink that gives you credit for a commission. Affiliate marketing is when you generate targeted traffic to a particular website selling a product for which you get commission on each and every sale. You don’t own the product (although later we’ll discuss creating your own product or service and recruiting affiliates to sell for you), but you come up with creative ways to connect a prospective customer to the landing page. Joe Marketer decides to sell a popular “how to get a girl” info product. He heads to the Internet, goes to the ClickBank Marketplace and looks up the dating topic. There, he is presented with a choice of maybe a dozen different products to sell and decides on one whose sales page and statistics prove it converts well. He clicks “get hop link,” which incorporates his own unique ClickBank ID into the URL. He can then take the new URL and includes it somewhere in his sales funnel. When someone reads his sales material (an article, a pay per click ad, a YouTube video which pre-sells the product), and they click through to the sales page and buys it, Joe gets the affiliate commission – usually 50-80% of the price of the product. Of course, Joe wasn’t limited to selling products from ClickBank. There are other affiliate marketing programs out there. Commission Junction, PayDotCom.com and Share-a-Sale are just three of the many other companies that have an affiliate marketplace. Large websites like Amazon.com and Wal-Mart and others have affiliate programs, too. Affiliate marketing has amazing profit potential. Think about it this way: everything is already set up for you – a great product with enormous profit potential. If you want to sell exercise equipment, you can earn a nice commission from Amazon.com or even Wal-Mart. That can add up very fast, depending on how you drive traffic to the main site. There is plenty of opportunity to profit during the holiday time. You can take advantage of the shopper’s need to find toys and other gifts by promoting them through a website or small ad. The customer gets what they want – convenient shopping - and you get what you want – a commission for leading them to the sale. As discussed earlier, info products have great profit potential, because most affiliate programs pay upwards of 50 to 80% on the total sale. The average ClickBank product, for example, pays more than $25 per sale. The beauty of info products is that they’re digital and are easily downloaded within minutes - which is something that’s very appealing to your potential customer - instant gratification. The sooner they can have the product, the more likely they are to spend money for the information. Are you into the multi-billion dollar health niche? You can find just about any vitamin, supplement or tonic that fits. You know that the Internet Marketing niche is hot, but you’re wondering how to break into it and grab a piece of the pie. There are literally hundreds of top selling affiliate marketing programs on ClickBank. All you have to do is pick one and find a way to promote it. You don’t have to be the guru people turn to in order to learn about Internet marketing – you can just provide links to solutions that would solve their problems. Affiliate marketing is ideal when you really want to get into a niche and start making profits sooner than it might take you to put together your own product and subsequently come up with sales copy. With affiliate marketing, the meaty part of the sales funnel is already mostly set up for you. The customer types in his search terms in search engine (or is browsing and sees an ad) and clicks through. In the case of the search engine, this brings up a page of top ranking pages for the terms as well as paid for ads (PPC). The customer clicks on one or more of the choices until they find what they need. 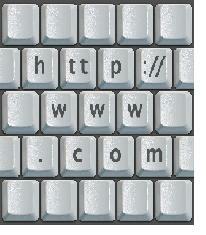 From here, he may choose to click on any one of several affiliate links leading to the sales page. He decides to buy - you get a commission - he gets his product. That is a rather general sales funnel. As you can see, with affiliate marketing, at the very least there is the sales page and product ready to fit into your plans. Those are two of the biggest hurdles for a marketer to face, and this part is done for you. One of the most daunting tasks for an infopreneur is writing a cash-pulling sales letter. Creating a sales page is an art - and a well written one can make its owner thousands of dollars over its lifetime or in a single day. They can cost many hundreds (if not thousands) of dollars to have written for you by someone who is an expert copywriter. That can be intimidating at best for some. That fact, plus the task of coming up with a desirable product, is a big mountain to face. Creating an infoproduct is both a simple process and a huge responsibility. Writing may not be your first and best talent. You might know that a particular niche is a great source of income, but don’t want to take the time, right now, to put together a full blown report. 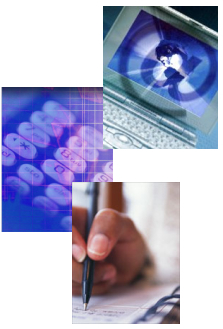 A good info product with staying power in the marketplace has been well-researched and is thorough in its content. With affiliate marketing, that issues is solved. Then send the traffic to a squeeze page where you offer a nice 5-7 page report for free on the topic of your niche in exchange for their name and email address. This ensures you’ll be able to market to them after the initial sale. Or, you can send them to your website or blog where they can learn more about what you’re selling if you feel they may need a more intense pre-sell regimen. This is often the case if you find a great product to promote as an affiliate, but the product owner’s sales copy is weaker than expected. As an affiliate marketer, your main focus is on getting the sales copy in front of the prospect’s eyes. You have to get inside your potential buyer’s mind and thinking process – what actually motivates them to seek your product in the first place? What words or phrases do they use in their search engine journey to find the information they need? A good affiliate program has the materials provided by the owner of the product or service to make your job easier. It will have many of the pieces ready to fit into a the marketing funnel – including pre-made banner ads, a list of suggested keywords, a short report to offer as a viral freebie, PLR articles and a pack of ready to use email messages. For one, you need to know how to pick products. You’ll need to do some homework. That involves deciding on the niche you wish to pursue and then researching where to find the product or service that you want to promote within the niche. Some do it in reverse and will look for a hot selling product and then find ways to get a piece of the niche profits. At some point, you’ll want to do some keyword research, too. Get inside your prospect’s mind so that you know what terms to focus your campaign on. A good affiliate program may have these listed for you to help make your job easier, but you can find words and phrases other affiliates aren’t using and rank very high for those in search engines like Google. Then, once you’ve chosen your product, you need to be signed up in the affiliate program. This is fairly simple for some companies like ClickBank or Amazon, but others have a more involved sign up process. Now the fun part - getting targeted traffic to the affiliate sales page! This involves writing articles to publish on ezine directories or Squidoo or having pay per click ads pointing people directly to the main sales site. There are so many ways to catch and drive traffic that are beyond the scope of this report, so do your homework. With so many choices, you’re sure to find the perfect product to promote – and the best traffic tactic to use with your niche prospects. Would you like to be on the other side of the coin? A product owner who has an army of affiliates working to funnel traffic to you in exchange for a percentage of the sale? But you don't have to create a special program yourself to pay commissions to your affiliates when they make sales. You can create an ebook or product that sells on ClickBank and THEIR systems will pay your affiliates and manage commissions for you. Or you can write a printed or Kindle book or recording and sell it on Amazon. Then Amazon will process commission payment for you to their affiliates that sell your book or recording. Also, when you price your product, make sure you set the commission so that it’s generous to affiliates. Many affiliates are looking for at least a $20 affiliate commission. The higher the price point of the product, the lower the percentage you can offer to affiliates. For instance, they would love 10% of a $1,000 product ($100) over 50% of a $100 product ($50). Affiliate marketing is a great way for online entrepreneurs to make a great income without shouldering the full burden of a marketer. It may take a little homework to find the right niche and the right product, but add to that your own determination to make it work and affiliate marketing could be the answer to putting your day job to rest – once and for all. How To Take Any Decent Product and Pitch It to a Target Audience Using a Review Formula That Tempts Consumers Into Buying. It doesn’t matter HOW big your list is – if you don’t know how to write a good review, you can forget making any sales. Your reader, prospective buyer will be asking: "Why should I trust you?" That’s why you have to work at getting the reader's trust. Even the biggest gurus can’t always be trusted – in fact, I know plenty who are total scam artists. And even if you get them to trust you enough to fork over some cash for a product, they’re still going to have it in the back of their mind that a refund is available – and that’s okay. Earn a reputation for telling the truth and not promoting and recommending products that do not deliver what they promise in their sales letter. They’ve grown to trust your recommendations. They know youre not a “launch bandwagon jumper” like so many others who scurry for the big guns when they come calling. I see so many crappy reviews that make the reviewer look like their nose is permanently attached to the backside of the product owner. As an affiliate marketer you should be looking out for the people who pay your bills – your customers. You should always go after extra discounts or bonuses for them. For example – you can contact a Product owner and asked him for a discount coupon for your list. Most will do just that if you simply A-S-K for it! If you’re not honest with your readers about what’s bad about the product, then it looks like you’re being a sneaky Pete. No product is guaranteed to be 100% perfect. Someone’s bound to find holes or improvements that could be done somewhere. ]So find things that you can say in your review that aren’t perfect about the product – and try to have a way around that. · The guide is missing any information about ________ so what I’ve done is create a separate bonus for you that fills in that gap in information for you. · The product owner recommends this paid keyword tool here ________ but I can recommend a free one that’s just as good and won’t cost you a cent here _________. · Some people would rather watch than read, so I’ve put together some video bonuses that walk you through his guide so you can follow along with me on video while you do it. You have to truly be their advocate. Believe that you’re looking out for their best interest. If you can feel for the consumer, then you won’t rip them off just for a quick buck – and they’ll trust you with their livelihood. What Benefit Does The Customer Get From It? Here’s the “blah blah blah” part that you think you already know. But I’m going to tell it to you from a different prospective. Consumers are selfish and many reviewers don’t seem to grasp that concept. Take this information 'product' for example – this very Affiliate marketing guide that you are reading right now. So you have to explain that it will show them how they can tap into a list OR the marketplace in general and make money offering reviews of ready-made products. In fact, maybe that could be your “flaw” with this product – that it doesn’t tell you how to build a list or a lens. So your bonus could be about list or lens building. Using the acne cure info product as an example again – no expensive doctor appointment. No pricey prescription (have you priced those OTC acne cures? An “in your pantry” homemade remedy would be a big perk to the budget challenged). This is a big review perk for me. I always try to review things for my list members that don’t require you to have a degree in technology to use them. I want dummies guide, step by step, screen shot, hold my hand simplicity. I let my readers know they will be at ease and I put myself on their level as a tech dummy. How many times have you bought an info product only to discover that to make it work, you had to spend a lot more money on tools? You start feeling ripped off. It offers complete anonymity. No walking into an adult store and facing the clerk. No watching the postman snicker as he drops off a box with a return address that makes you blush. So in your review, tell them what the possibilities are for them. When you write your review, you’re going to need to talk about what the product is. They need to know both the monetary investment they’re going to have once all is said and done as well as the time they’ll need to put aside to implement this – whether it’s making money online or smearing a homemade concoction over their face to get rid of acne. Is Support Available to Them Once They Buy It? It’s about customer service – what kind of person are they buying from? Do you even know or could you be leading the little lambs to slaughter? I’ve seen a great product I wished I could promote but I knew the marketer was a complete tool – so I didn’t promote it. I didn’t want to expose my customers to him. You want to test out the customer service firsthand by initiating an email to the product owner. If you’re unsure, or if you get a rude reply (or worse, no reply) from a product owner, then maybe they don’t deserve your business, right? Don’t hem and haw about it trying to find the perfect time to sneak in a call to action – tell them need to buy now – not later. Stress the importance of it and make them fearful that they may miss out on something special if they delay. If you’ve been able to secure a discount coupon, let them know that it won’t be there forever – you don’t even have to give them a specific timeframe that it will be in effect. In your email, or lens, or blog or wherever you’re reviewing this product – make sure you use a call to action more than once. Notice in all the guru emails they slap that link up right under the opening paragraph? Then again in the middle and once more at the end. Who Else Thinks This Product Is Great? Some people care what other people think. I’ve become cynical in my line of work – seeing the incestuous JV relationships behind the scenes. BUT…many people who aren’t exposed to what I see can be impressed with testimonials. If you know that others are promoting this product and you feel that could sway your readers, then by all means name drop! Nothing wrong with name-dropping in my book. If they know those two guys and respect them, then it may matter that they gave my product two thumbs up. You might also, over time, get emails from your list members telling you thank you for sending them the link – about how much they appreciate the recommendation because it XY and Z for them, etc. Offer a Bonus to Close the Deal! Okay I’m not a fan of this strategy in MOST cases but I’m going to share it with you anyway because it IS viable and I HAVE used it before with much success. I’m just not a fan of the way the big launches have become a total tug of war lately. The high dollar launches with huge bonuses that make you really confused about who to buy from. Do you want a 7 week phone interview with guru A or a complete website set-up with training by guru B? I guess I don’t mind the strategy itself – I’m just tired of seeing it on every big launch. I’d like to see a cash back bonus LOL – Wouldn’t that be nice? I love seeing gurus who say their bonus is worth “$1,997” – okay, so how about Fedexing me a cashier’s check back for that amount if I buy through your link? Don’t tell them you have a bonus for those who buy through your link and then give the bonus away to your list for free. Don’t gather 25 PLR bonuses just to say you have a bonus. If you know the product has stiff competition, then tell your readers how it stacks up. Do a chart in a PowerPoint if you want to. Have a side-by-side comparison. Have you seen examples of this when you upgrade an account somewhere? A lot of times, failing to make money with affiliate marketing is the result of a lack of knowledge or understanding of how it works. There is a lot of power and relief that comes from learning about various topics. 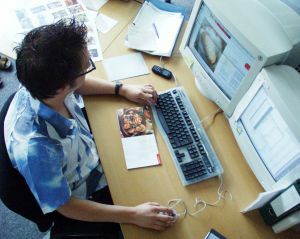 You’ll be surprised about how much a little research can help you with affiliate marketing online. In the different sections on this site under "Internet" and "Business" you will see many more guide pages explaining how internet marketing and working at home can be done in a way that is profitable and worth your effort. So learn what you can, grab my free reports online here, and make the investment in yourself to buy some of the very helpful ebooks I also offer here to teach you how to do affiliate marketing online as well as website and blog building, and internet marketing as a whole. Begin with my very comprehensive book with step-by-step instructions for how to do affiliate marketing, that is a tiny investment in your future success! 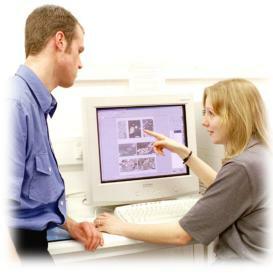 How Can You Improve Web Site Traffic? Internet Marketing Consulting - Does My Business Need It? 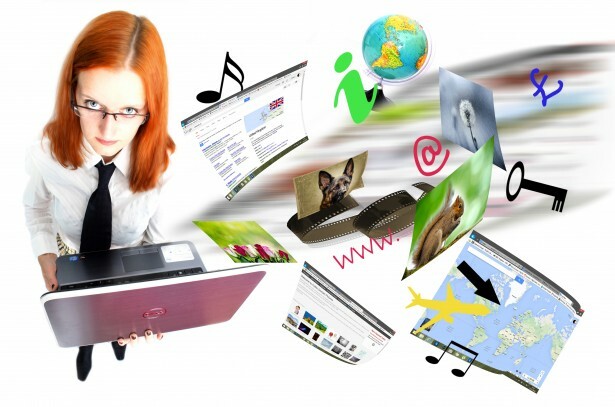 What's the Internet Marketing Secret? Back to HOME PAGE of this how to do affiliate marketing section of the site.